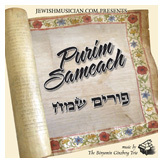 Purim Sameach gathers together Purim tunes from around the world, from Chassidic nigunim to traditional Israeli songs, and from Klezmer melodies to contemporary Jewish folk rock. 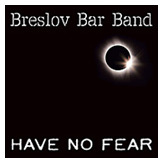 From melancholy midnight meditations to funky/punky affirmations of the One, the Breslov Bar Band explores musical expressions of the Breslov Chassidim from the traditional to the contemporary. 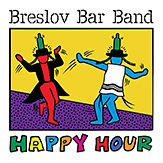 © 2003-2013 jewishmusician.com. All Rights Reserved. Site design by Thumper Media.